A couple of days ago we wrote about the far-reaching collusion which was unveiled with the unsealing of evidence. Here is a new turn of events. An almost-new name shows up because Jim Allchin, who was recently pulled into the investigation (he thought he had peacefully retired after the irreparable Vista disaster), points his finger at Will Poole, who left company some months ago and shortly afterwards joined NComputing [1, 2, 3], a company that typically distributed GNU/Linux (although Windows options are available too). Poole was also seen involved with this collusion in our first post about the subject. A surprise decision by Microsoft jeopardized its relationship with PC giant Hewlett-Packard a year before Windows Vista’s release, according to internal e-mails unsealed late Friday in U.S. District Court in Seattle. The messages, between top Microsoft and HP executives, shed new light on the behind-the-scenes turmoil that preceded the operating system’s troubled debut. I am beyond being upset here. This was totally mismanaged by Intel and Microsoft. Now we have an upset partner, Microsoft destroyed credibility, as well as my own credibility shot. I was away and I get back to see this mess. I was told all this started with a call between you and Paul (Otellini, Intel’s CEO). I will have to get to the bottom of this and understand how we could be so insensitive in handing the situation. You better get will under control thanks. Pressured by Intel Corp., Microsoft Corp. relaxed the rules for a crucial Windows Vista marketing program — a move that let the chip maker sell older graphics chip sets that were incapable of meeting the original requirements, internal e-mails show. 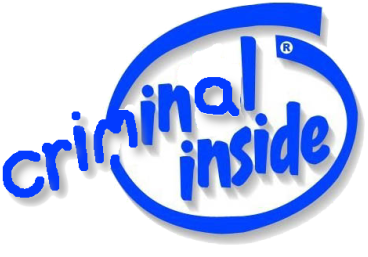 High-ranking Microsoft and Intel executives were involved in a plan to re-write the Windows Vista Capable program to save both companies – and OEMs – millions of dollars, according to unsealed court documents. After Microsoft loosened the requirements, senior vice president of HP’s consumer PC unit, Richard Walker fired off an e-mail to Microsoft Chief Operating Officer Kevin Johnson and Jim Allchin, the co-president of Microsoft’s platforms and services division.